life cycle of an operation through exploration, production and eventual closure. 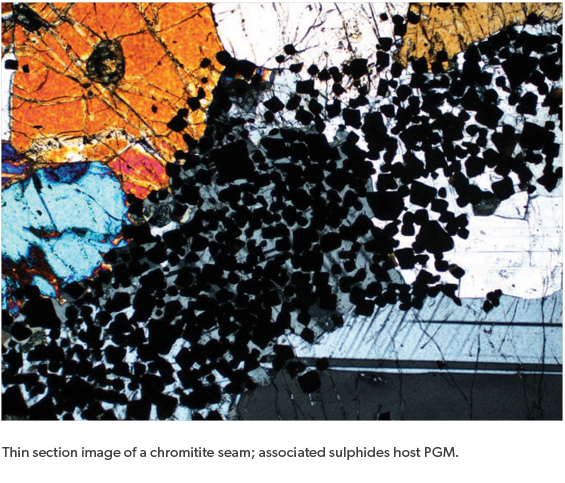 Detailed mineralogical studies are critical in ensuring maximum recovery in a cost effective manner. 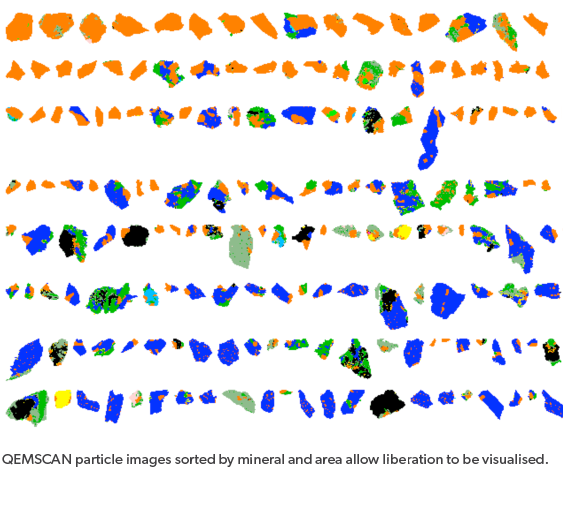 Understanding the distribution, abundance, size, mineralogical associations, liberation characteristics and chemistry of the ore phases is critical. is today an essential part of any modern mineral processing operation. 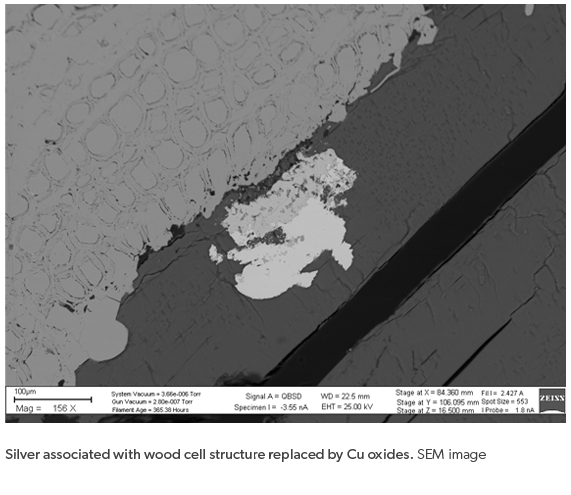 Ensuring maximum cost-effective mineral recovery is critical for all mineral processing plants. 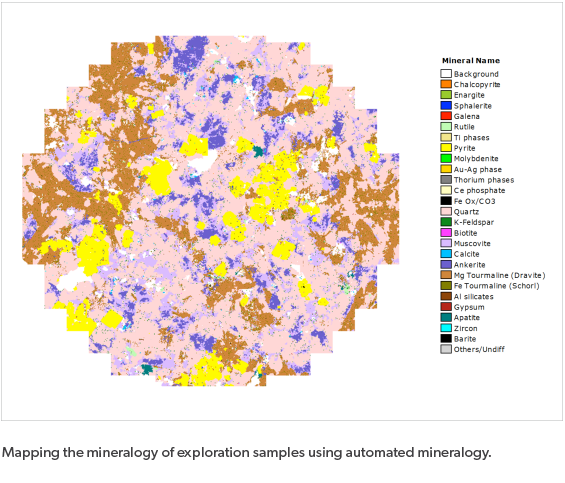 Automated mineralogy provides the robust datasets on which operational decisions can be made. 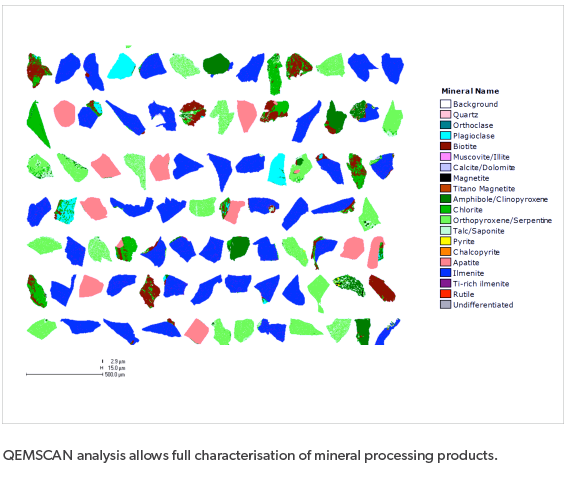 our international client-base on a wide range of commodities including Cu, Pb, Zn, Fe, Al, Ti, Sn, W, REE, Au, Ag, PGM along with industrial mineral products such as fluorspar, silica sands and clay minerals. 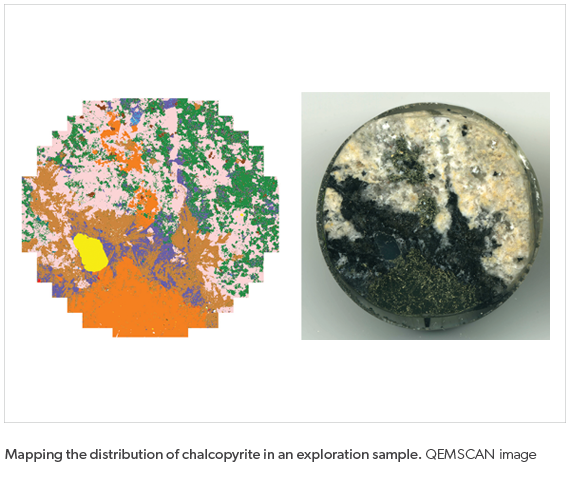 Helford Geoscience can provide a tailor-made analytical solution, ensuring the highest quality data sets typically with a rapid turn-around time from sample receipt to full reporting. 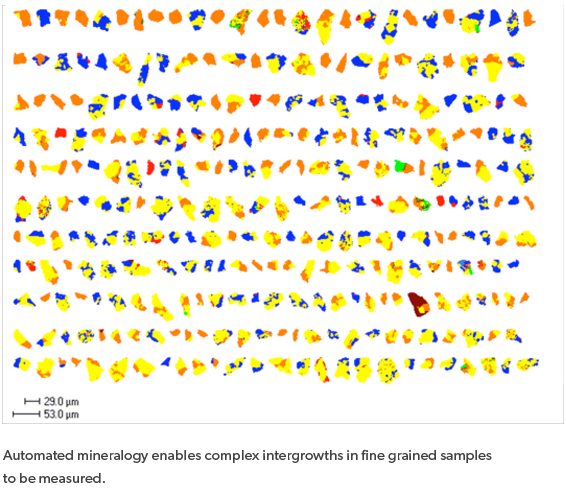 Data outputs typically comprise mineral mass %, grain size, liberation, mineral association and theoretical grade recovery. 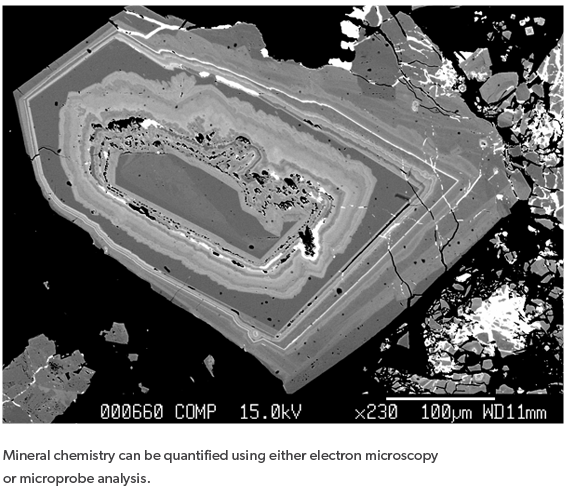 Mineral and sample chemistry can also be quantified. 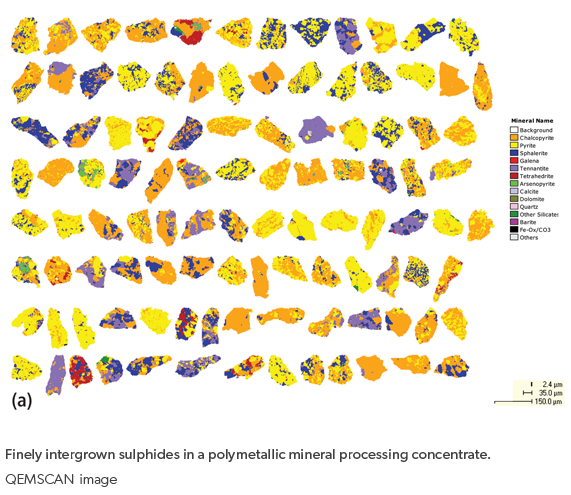 Detailed mineralogical understanding of ore deposits is an essential stage in any mineral exploration programme. 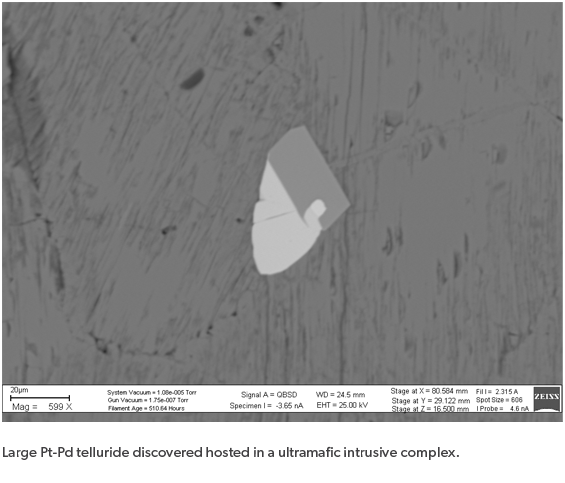 Helford Geoscience have previously published on the discovery of a range of ore deposits ranging from platinum group mineralisation hosted within mafic and ultramafic intrusive complexes through to Cu and Ag mineralisation hosted within red bed sediments. 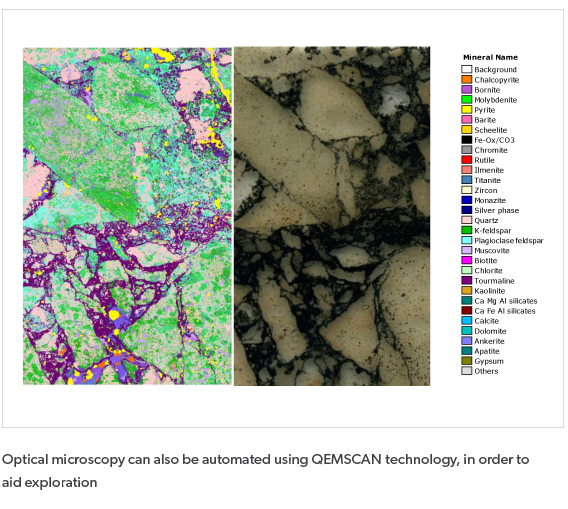 We can provide detailed mineralogical analysis on samples from outcrop or core, including thin section preparation, optical microscopy, scanning electron microscopy and automated mineral analysis based on QEMSCAN technology. 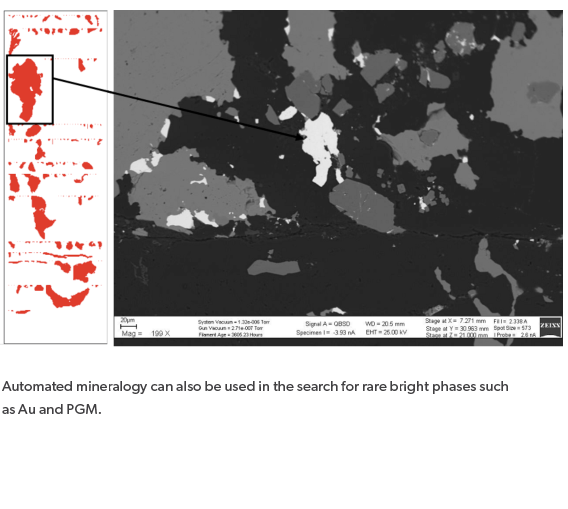 Automated mineral analysis is also ideally suited for the search of rare “bright” phases such as Au, Ag and PGM.